​Orphaned, penniless but ambitious and with a mind crammed with imagination and fresh ideas, the American Phineas Taylor Barnum will always be remembered as the man with the gift to effortlessly blur the line between reality and fiction. Thirsty for innovation and hungry for success, the son of a tailor will manage to open a wax museum but will soon shift focus to the unique and peculiar, introducing extraordinary, never-seen-before live acts on the circus stage. Some will call Barnum's wide collection of oddities, a freak show; however, when the obsessed showman gambles everything on the opera singer Jenny Lind to appeal to a high-brow audience, he will somehow lose sight of the most important aspect of his life: his family. Will Barnum risk it all to be accepted? "Everything about this film clicks from start to finish. The music, the choreography, the costumes and the performances are top-notch." 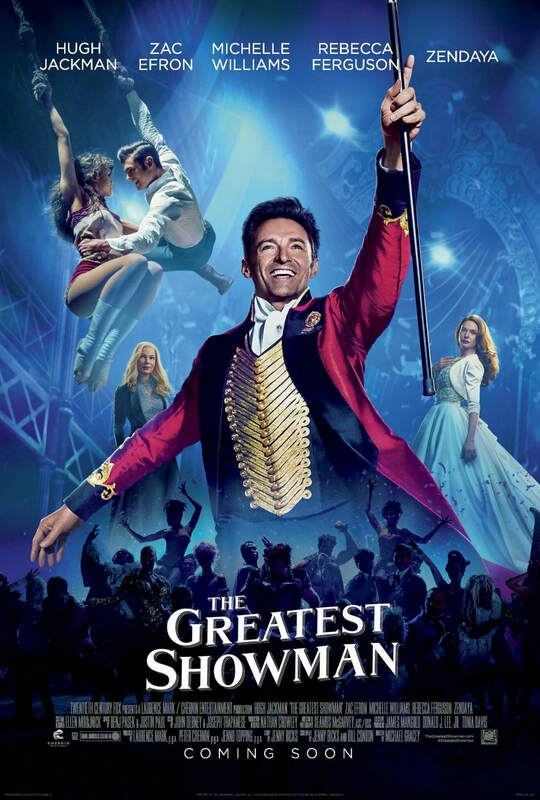 "Each and every one of the The Greatest Showman's songs is a delight..."